In addition to integrating its experiences it got from aviation industry into its service manner for offering brand new services, Plures also produces suitable solutions for your tough times with emergency aircraft (air) evacuation services. Offered together with private jet or passenger aircraft chartering services, (air) evacuation services are provided prioritizing safety and comfort for evacuating passengers in a safe way in cases of war, natural disaster or attack. Besides acting quick, Plures Air is also fully conscious of the vitality of being able to take safe steps during special and emergent situations hence operates with specialized personnel as well as required institutions in a coordinated way for your (air) evacuation demands. Proud of the trouble-free (air) evacuation services it has provided to this day with special planning, Plures Air easily overcomes tough times as such with peculiar solutions it offers for any situation. Aware of the fact that even the littlest details can prevent greatest losses during an emergency evacuation and working with experienced professionals in such situations, Plures Air offers services with special plans in order to transport its passengers in a safe and fast way. Giving place to professional health personnel during (air) evacuations in case of demand, Plures provides evacuation services with the highest security precautions. Never neglecting a detail for safety especially in situations such as war and attack, Plures values nothing more than safely and soundly uniting people with their loved ones. Not satisfied with the speed (air) evacuation aircrafts provide, Plures also serves its passengers with fast solutions in its organization as well as aircraft preparation processes. 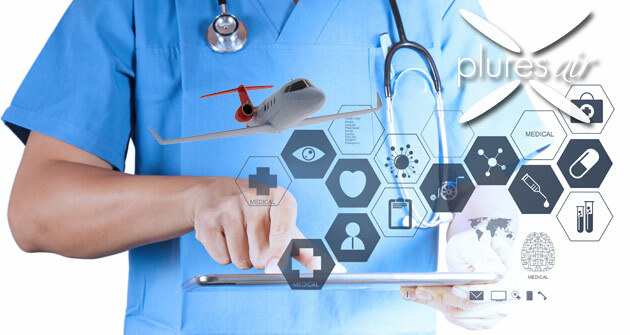 Managing all the red tape with its special personnel, Plures Air enables evacuation processes to be sustained in a much healthier way operating in an organized and the fastest way possible for the required procedures and other details. Most probably one of the most vital 24/7 services of Plures is the jet air ambulance service. Independent of the time or present situation, safely supplying health personnel and equipments to demanded areas with its latest technology private jet air ambulances, Plures Air takes very critical steps in order to reduce the treatment processes of available patients who require health services besides preventing losses. Combined with the exclusive service manner of Plures, emergency health personnel evacuations where even seconds count save lives. It is more than enough to contact us in order to get more information about the preference of those who are aware of the vitality of a single second in an emergency situation, Plures emergency (air) evacuation services and benefit from these services without losing time. The information found on the site is for support only. All rights reserved. Designed by Plures Teknoloji.